What: The adjustable truss rod. Why: Counteract neck bow due to increased tension from steel strings. 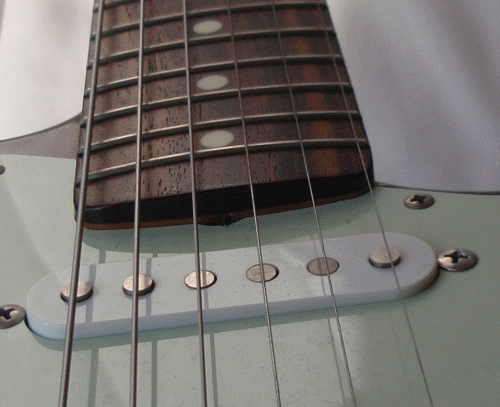 You probably take your guitar’s truss rod for granted, even if aren’t sure what it does. But in the early part of the Twentieth Century, guitar makers hadn’t yet accommodated to the idea of putting steel strings on guitars. Gut strings did not put as much tension on the guitar as steel strings did and guitars were designed for lower tension. 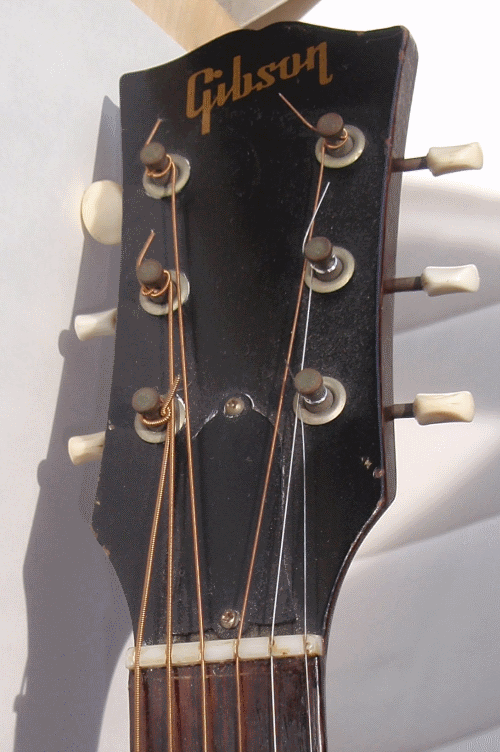 Steel strings caused non-reinforced necks to bow. Early attempts at neck reinforcement used strips of ebony. Some modern guitar makers use carbon fiber strips in the same way to help stabilize the guitar neck. However ebony really wasn’t effective as steel. Ted McHugh, a Gibson employee, invented the modern guitar truss rod in 1921. The basic idea of putting a threaded rod into a channel running down the center of the guitar neck, under the fingerboard is core principle behind almost all modern guitar truss rods. This design was not immediately adapted by all guitar makers. Martin started using a steel T bar to reinforce their guitar necks in 1934 1. They later changed to a hollow square steel tube for reinforcement 2. They didn’t change to an adjustable truss rod until 1985. Guitars with adjustable truss rods are sometimes referred to as having adjustable necks. This has caused mis-understandings among some new guitar players. The truss rod has nothing to do with the neck angle on your guitar. It’s main purpose is to resist the pull of the strings and keep your neck from bowing. It turns out that a very slight bow is desirable and the second purpose of the adjustable truss rod is to set this properly. Where do you adjust your truss rod? Gibson and all the many guitars that have copied Gibson (including Epiphone, Taylor, Washburn and many others) have a plastic truss rod cover on the head of the guitar. Remove the cover to get to the truss rod adjustment. Another approach taken by Martin and others is to access the truss rod through the sound hole of the guitar. 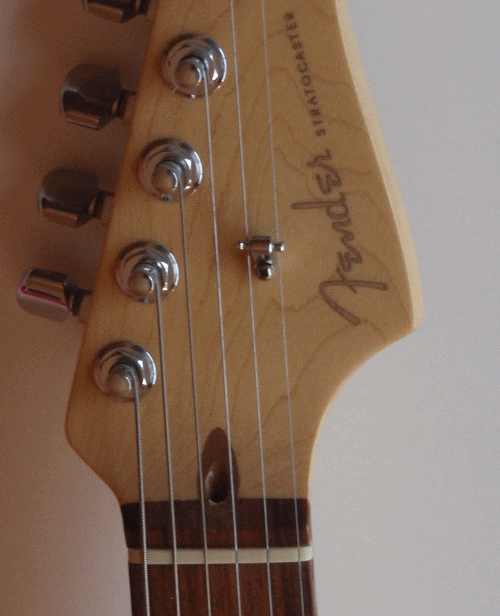 No truss rod cover to disturb the appearance of the head. You have to remove (or at least loosen) the bolt-on neck of older Fender guitars in order to get to the truss rod adjustment. Many newer Fenders can be adjusted from the head – Fender does not cover the access on the head with a plastic cover. Adjusting your truss rod is not difficult if you have the proper adjustment tool. However, do not even attempt this if you don’t know what you’re doing.